With the setting sun glistening on the open ocean, my first mate dances on the mast with jubilee as I’m topping off my fourth tankard of grog after a hard day’s work of plundering and pillaging. Though the lower deck of our galleon is overflowing with chests, skulls, and an abundance of farm animals, I can’t help but reflect upon my inner turmoil. With a sigh of discouragement I finally admit: “Damn, I’m incredibly bored.” For a game promising to be the deepest of pirate experiences, Sea of Thieves is surprisingly shallow. 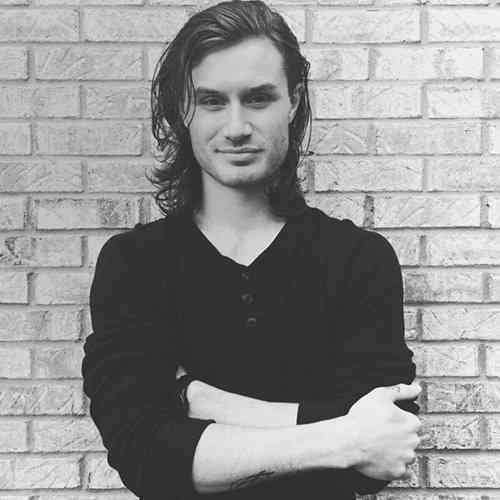 I along with the majority of gamers around the world revere Rare’s rich history and tremendous contribution to video games as a whole. 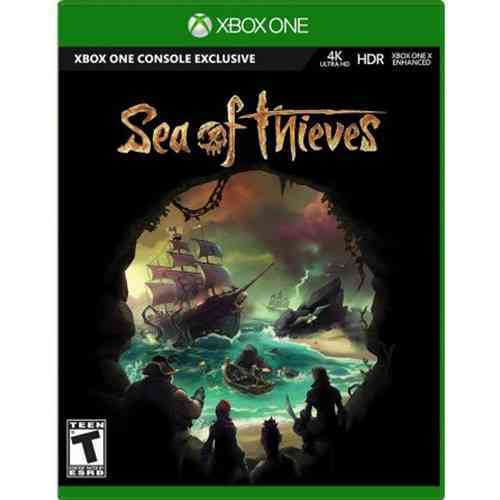 Following a hiatus binding them to produce Kinect titles for the Xbox One, the once exalted studio has returned with their most ambitious title to date in Sea of Thieves, an open-world pirate adventure enabling you to sail alone or with a crew of friends in your quest of becoming pirate legends. Though there’s little to do and I’m not necessarily eager to set sail again anytime soon, Rare’s shared-world experience does possess some compelling qualities. First and foremost, I’m enamored by Sea of Thieves’ aesthetic. Its unabashed beauty is one of the leading factors that initially attracted me to the game. From the roaring oceans to lush islands, Rare has triumphed in crafting one of the most breathtaking worlds I’ve ever had the pleasure of exploring. And don’t even get me started on the lighting. Whether the sun’s bleeding through a patch of palm trees or rising on the horizon, it never ceases to impress. Blend the bodacious setting with hum-worthy melodies, and you’ve got yourself one hell of a charming adventure. Unfortunately, Sea of Thieves’ locale only kept my enthusiasm afloat for a mere fortnight, as the lackluster gameplay sank it to the depths of Davy Jones Locker. Progression is based entirely on three factions: The Gold Hoarders, Merchant Alliance, and Order of Souls. Each of the three offer quests that send you to and from islands to fetch varying degrees of treasure chests, animals, and enemy skulls for rewards of gold and notoriety. In return, you can invest in a limited supply of cosmetic items including clothing, weapons, and ship parts. Sadly, these items don’t affect the gameplay in any way. I wouldn’t mind sporting a bejeweled peg leg or royal cutlass, but I’d much instead invest in a ship part that increases its top speed, or perhaps a sniper rifle with a higher ammo capacity. Overall, my achievements feel in vain because, in spite of investing hours into leveling up my faction ranks, the core experience remains the same, resulting in a profoundly bland progression system. During my time with two separate beta tests for the game, I found the faction quests to be collectively gratifying. However, I feared that the full version of the game wouldn’t offer anything beyond the tedious formula of snagging loot and sailing it back to an outpost. As it turns out, my worst fears have come to fruition. Sure, I can’t deny the pleasure of hearing a resounding thud generated by striking a buried chest as majestic music swells. However, after sailing to and from the same islands for hours on end, the quests begin to feel mundane and monotonous. As gorgeous as some of the islands are, I’m not beckoned to explore them. With the exception of a gold artifact or message in a bottle to discover, every island is mostly empty. I also find the task of capturing animals for the Merchant Alliance to be a tad frustrating, as the chickens or pigs you’re required to scoop up can’t be found on every island. So, you resort to island hopping until you’re lucky enough to stumble upon what you’re searching for. Facing off against skeletal foes for the Order of Souls should be exhilarating, but their quests suffer from the game’s uninspired combat. Equipped with a flintlock pistol, blunderbuss, sniper rifle, and cutlass, one may imagine skirmishes to be pulse-pounding and diverse. In reality, they just aren’t fun. Swordplay never extends beyond blocking and spamming the attack button, and firefights are dull. There’s nothing mechanically wrong with the combat whatsoever; I just wish it were a bit deeper. I understand Rare’s intention in designing every component of the game to feel simplistic and accessible, but over time I believe Sea of Thieves begins to suffer for it. Lack of PvE variety is an issue as well because unless you’re silencing the annoying hiss of island snakes, you’re facing off against skeletons exclusively. Yes, the cadaverous foes feature multiple levels of difficulty, but when the only difference in bringing them down relies on the number of sword slashes or gunshots you expel, every combat encounter feels repetitive. On a positive note, operating your pirate ship feels exceptional. From managing the sails to dodging islands, sailing the seven seas is intuitive and an absolute blast. In fact, I find the simple act of riding the waves with a group of your closest salty dogs to be Sea of Thieves greatest strength. That plays into the PvP aspect of the game. With a proper captain at the helm, ship battles on the raging ocean are thrilling, especially when you have a boatload of booty aboard. I can recall several hilarious instances where I’m keeping our ship aligned with the enemy’s while one friend fires cannons and another patches holes below the deck. Rare can own the fact that the pirate-themed comradery of Sea of Thieves can’t be experienced anywhere else. On the other hand, I wish there was an incentive to interact with other players aside from taking their souls. Outposts essentially serve as glorified PvP zones when they could be so much more. 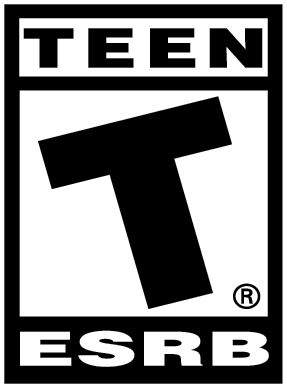 Even the addition of pirate-inspired mini-games to play in pubs or a trading system of some sort could significantly improve the social aspect of the game. For example, say there’s a player who’s sailing solo, and you have an open spot in your crew. Why not have the option to invite said player aboard officially? While we’re on the topic of PvP, Sea of Thieves is in desperate need of a PvP faction; one which rewards you for either sinking enemy ships or successfully plundering their loot. Additionally, a bounty system similar to GTA Online could add depth to PvP battles. If there happens to be an enemy crew slaughtering all in their path, the theoretical PvP faction could mark them as the leading public enemy, resulting in other crews converging on them all at once. I imagine it’d lead to some epic scenarios. Sea of Thieves’ public events come in the form of fortress raids. Marked by a massive cloud in the shape of a skull, pirates can face off against a fortress full of high-level skeletons and opposing players alike. Successfully overcoming all who wish to end you unlocks a vault full of loot. I use the term loot lightly, as you’ll only find some treasure chests, gold artifacts, and skulls within. Yes, successfully unlocking the vault provides you with a nice bump in your faction ranks, but it’s not exciting when the gameplay remains stagnant as I mentioned previously. Beyond it all, one of Sea of Thieves most anticipated and mysterious features was the idea of duking it out with the Kraken. It was undeniably a selling point for me, but to my dismay, the encounter doesn’t live up to the hype. I’ve yet to witness anyone completely defeat the beast, but the talk of the sea is that it drops “glorious” loot. Again, if the esteemed spoils are a bunch of treasure chests, it’ll continue to feed into my disappointment. 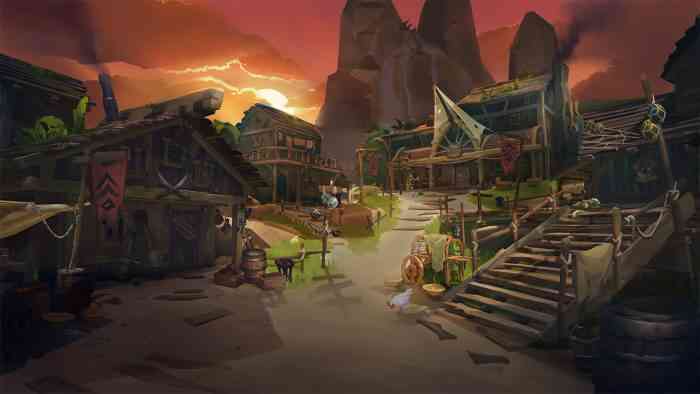 Lastly, Rare exclaims tales of a pirate hideout built exclusively for players who reach legendary status. Upon reaching max level, its location is revealed. Interestingly, the fabled outpost supposedly resides in plain sight, but unnoticeable to low-level eyes. Promises of uncommon cosmetic items and untold riches apparently lie within; but after experiencing all the game has to offer, I don’t feel compelled to reach it. Perhaps I’d feel the urge to pursue its majesty if it provided a super ship with fifty cannons and a legion of Great White sharks to defend it. But for now, I lack interest entirely. Despite its shortcomings, Sea of Thieves’ current state serves as an outstanding foundation from which to build. 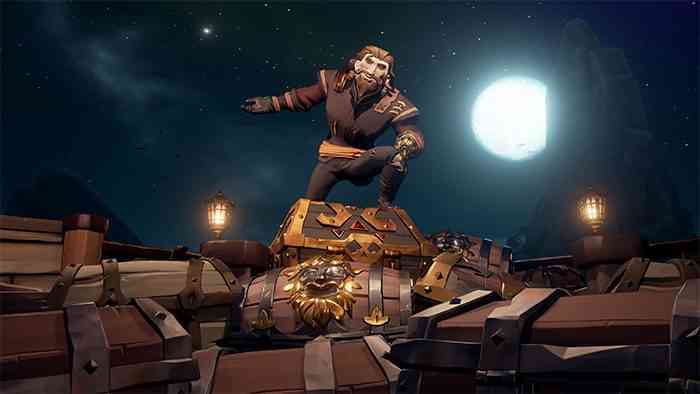 After all, the game is intended to grow and evolve in time, and I’m confident that through their plans and player feedback, Rare is capable of molding Sea of Thieves into something remarkable. Between the game’s breathtaking visuals, candid humor, and heavy emphasis on cooperative play, the horizon is bright for Rare’s swashbuckling shared-world adventure. 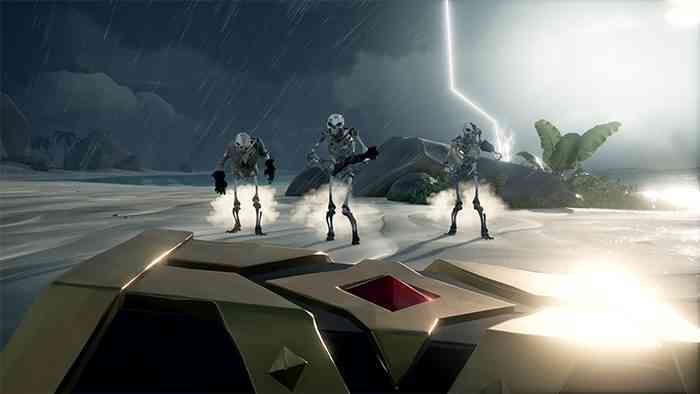 For more on Sea of Thieves, keep it locked on COGconnected.